A simple browser-based utility that converts ASCII to an image. Just paste your ASCII data in the input area and you will instantly get an image in the output area. Fast, free, and without ads. Import ASCII – get an image. Created by nerds for nerds. Text Color Color of ASCII. Font Size ASCII font size in CSS units. Custom Typeface URL to a custom font file. Horizontal Align Align image horizontally. Vertical Align Align image vertically. Bold Make ASCII characters bold. Italic Make ASCII characters italic. Padding ASCII padding in CSS units. Line Height ASCII line height in CSS units. Download format ASCII image download format. Ascii to image converter tool What is a ascii to image converter? This tool generates images from ASCII. You can convert simple ASCII text to an image, and you can also convert ASCII art to an image. The generated image will be shown in the preview area and you can also download the full image. You can choose the download format and it can be JPG, PNG, GIF or BMP. ASCII text's color, font size, font-face, weight can be customized. ASCII image's width, height and background color can also be customized. Asciiabulous! In this example we turn an ASCII art illustration of a cat to a black and white image. Meow! In this example we generate a color image of a deer from an ASCII art drawing of a deer. Text is set to be bold. 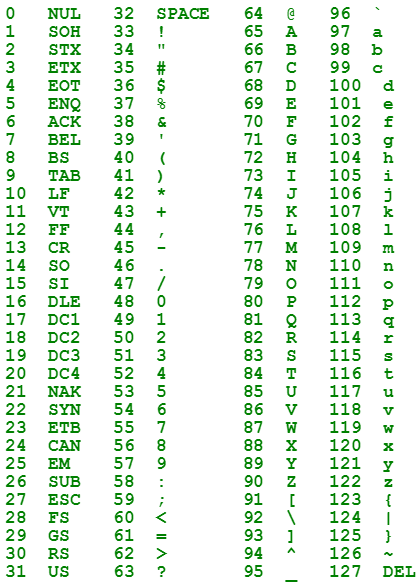 In this example we generate a green-on-white ASCII table from code 0 to code 127. 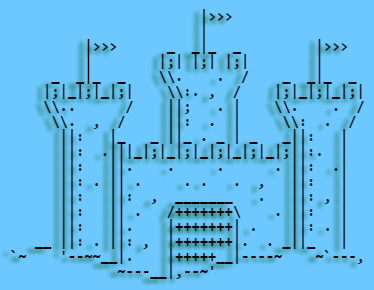 In this example we add a shadow to ASCII text and make it an image. The shadow option has the format 'x-offset y-offset blur color' and x, y, blur can be expressed in 'px', 'em', 'ex', 'cm', 'mm', 'in', 'pt', and 'pc' units, and their values can be negative, positive, integer and fractional.